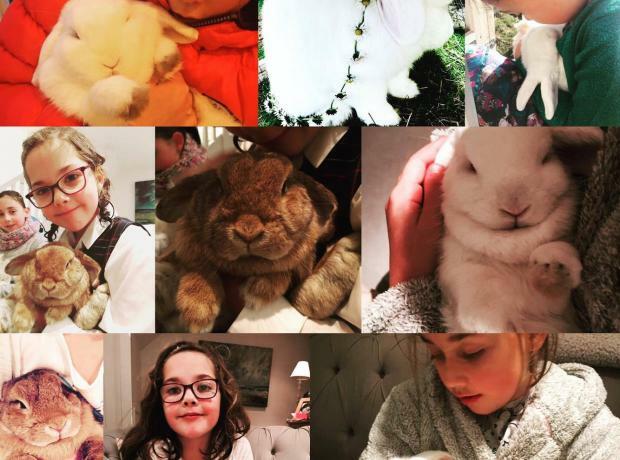 The GSPCA is asking all rabbits to take great care as Rabbit Haemorraghic Viral Disease (RHVD2) variant 2 has been discovered once again here in Guernsey. The fatal disease is a huge risk to unvaccinated rabbits and especially to those in outside enclosures. 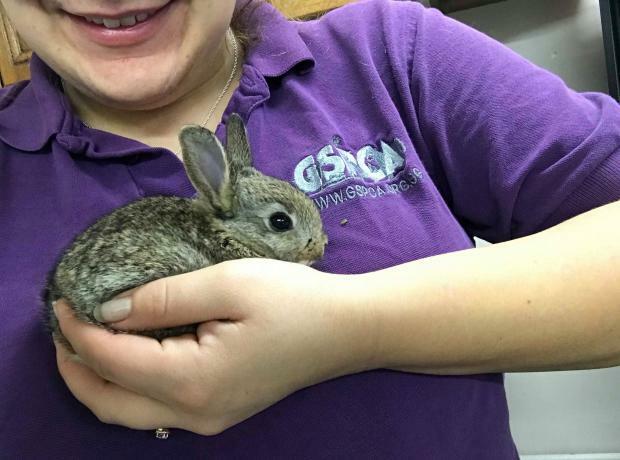 Last year the GSPCA were in close communication with local vets and the States Vet after the disease was discovered for the first time in Guernsey which resulted in a number of deaths and many rabbit owners vaccinating their pets. The GSPCA helps over 150 wild and domestic rabbits every year. Last Tuesday the GSPCA held a special training session to help rabbit owners and professionals that work or care for bunnies due to the outbreak of RHVD2 recently. The training took place at 130pm on Tuesday 4th at the GSPCA with two key speakers. 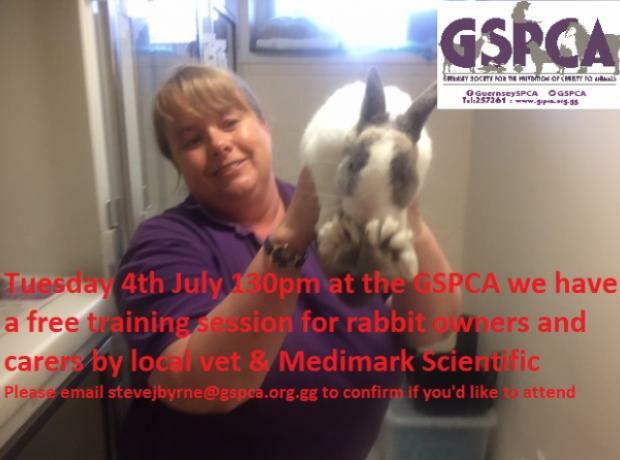 On Tuesday the GSPCA are holding a special training session to help rabbit owners and professionals that may work or care for bunnies due to the outbreak of RHVD2 recently. The event is open to everyone and free of charge although donations are very much appreciated. There is no need to book a space but if you could email your name and number and the names of anyone that might join you to stevejbyrne@gspca.org.gg we can prepare the training room at the GSPCA in advance or please call 01481 257261. 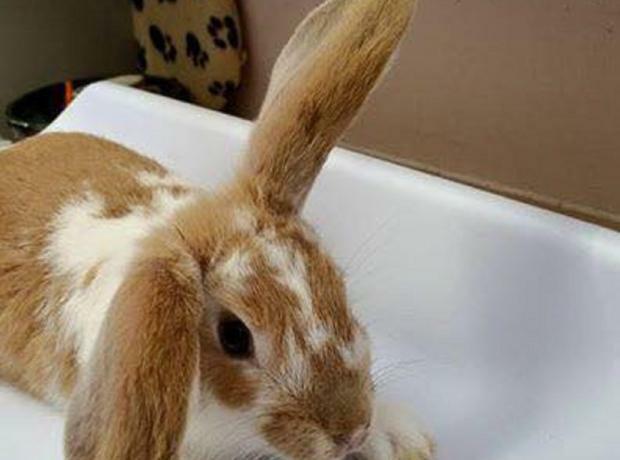 The GSPCA is asking all rabbits to take great care as Rabbit Haemorraghic Viral Disease (RHVD2) variant 2 has been discovered here in Guernsey. 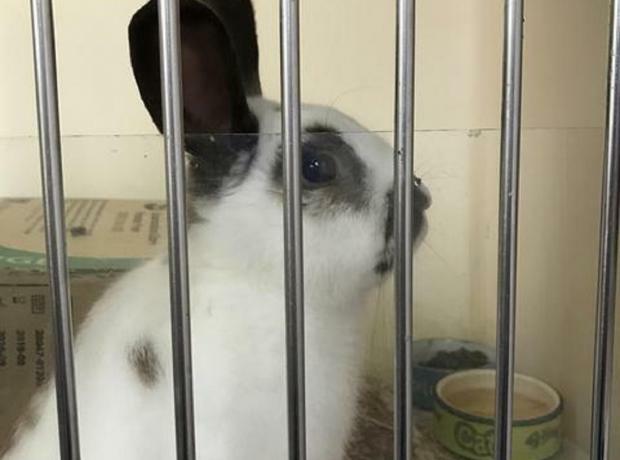 The GSPCA has been in close communication with local vets and the States Vet after concerns of a possible disease affecting rabbits from around Guernsey over recent weeks. We love to hear from animals that have been adopted from the GSPCA. At the GSPCA we have nearly a dozen rabbits in need of homes some of which were at the Shelter when these two were in our care. Baby bunny rescued with a broken leg - have you lost your baby rabbit? This morning a baby bunny has been rescued with a broken leg. The young animal was found near Genats Estate in Castel and has just been to the vets to be seen what can be done to help this poor defenceless young rabbit. GSPCA Ambulance Volunteer Warden Andrew Green rushed the injured bunny to the vets and thankfully despite his injury he has received initial treatment and has received treatments including pain relief. The GSPCA are appealing for the owner to please call us on 257261 as soon as possible.